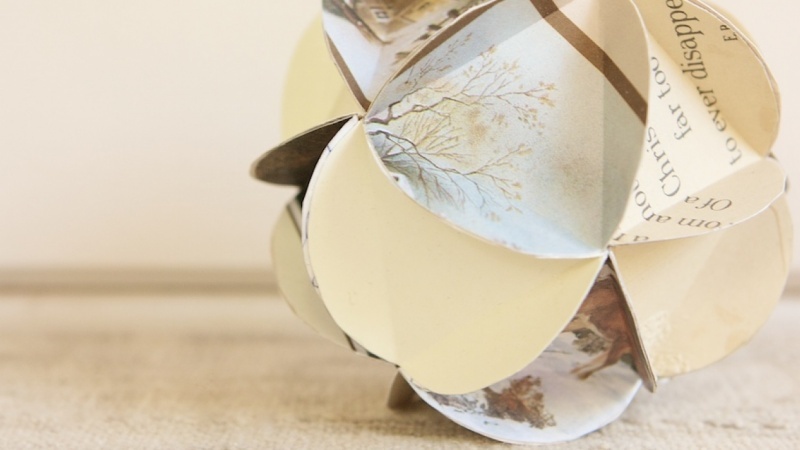 Take a peek into the world of paper crafter, vintage picker & photographer Kerri Klein as she shows you how to make a one of a kind paper ornament using a few simple tools and used papers sourced from around the home. In this class, she will lay out the simple steps to take old cards and papers destined for the recycling bin and turn them into beautiful keepsake decor pieces. She will show you her process and reveal how she creates the ornaments she sells at her own Etsy storefront The Rehatchery. This class is a great introduction for anyone wanting to get their hands a bit messy and sticky as well as anyone interested in basic paper crafting techniques. The class does use basic cutting tools, so it is not for younger children and all participants should find a safe crafting space with plenty of room to work. At the end of the class I will encourage you to share your ornaments and challenge you to think outside of the (paper) box when it comes to materials. It's all about how you choose to combine what you have to make something simple yet magical. Kerri Klein is a Fine Art Photographer & Maker with a deep knowledge of analog photography & a love for printmaking, paper making, paper crafting & anything that involves her hands getting submerged/inky/gluey/pulpy. She achieved the rank of Master of Fine Arts from Savannah College of Art and Design in 2005 & had wanted to teach full time, but found herself pretty darn burned out on academia. Instead she decided to get married, play roller derby, run her Etsy shops & have babies. The Art of Paper Craft: Make Chunky Tea-Dyed Paper Beads! The Art of Correspondence: Make Your Own Envelope!